Grilled cheese has played a bigger role in my life in the past year than it ever did before. 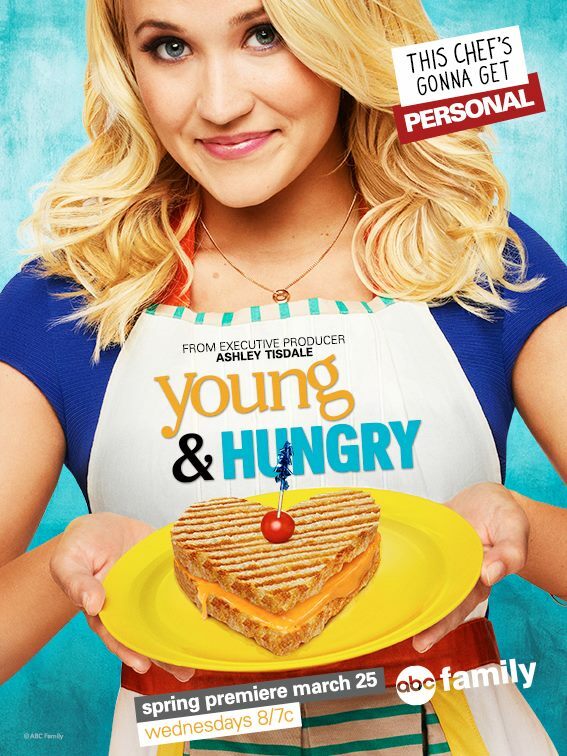 I've always been a fan, but it wasn't until the production of the first episode of Young & Hungry, wherein Gabi Diamond scores her dream job by cooking her would-be employer, Josh Kaminski a killer grilled cheese that I began to see what a magical sandwich it really is. In an instant, that grilled cheese changed both of their lives, kind of like how the show has changed mine. Now halfway through filming season two, I am in disbelief that things made it this far. And so, so happy. Tonight, I'm excited to tell you, the premiere of season two airs on ABC Family at 8/7 Central. 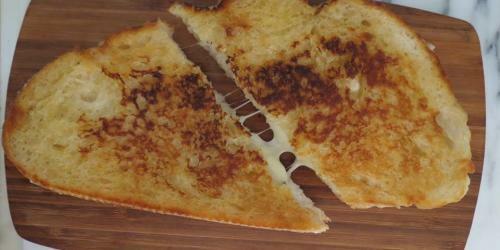 To honor the humble comfort food, and celebrate this exciting night, I'm making grilled cheese. But of course, I can't make just any grilled cheese. This one is fancy. 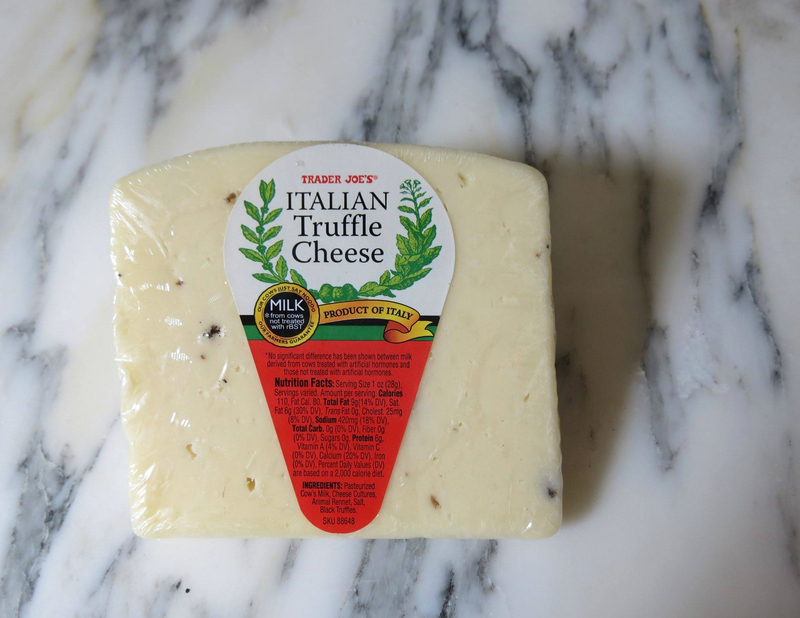 Behold: Trader Joe's Italian Truffle Cheese. When you want black truffle flavor for as little money as possible, don't reach for truffle oil (which rarely contains actual truffles). Instead, go for this delicious cheese, studded with real black truffle pieces. 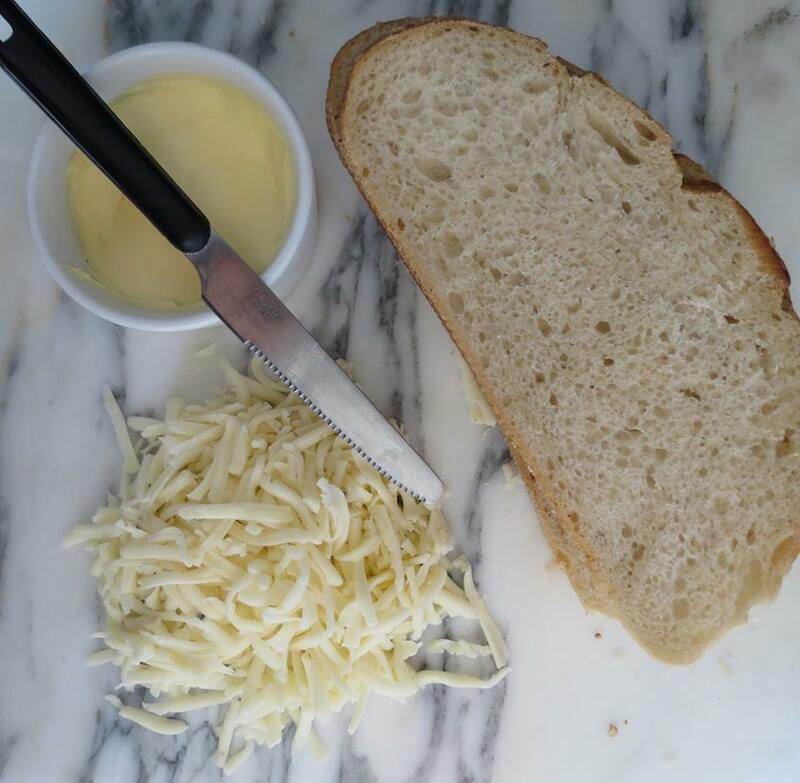 Since the cheese is so sublime, my goal with this sandwich was to celebrate it and not try to add any other flavors that might overdominate it. Just good bread and butter. I decided to use sliced sourdough, since it get so gorgeously crispy when buttered and heated. It's always good to get your ingredients together before you begin assembly. 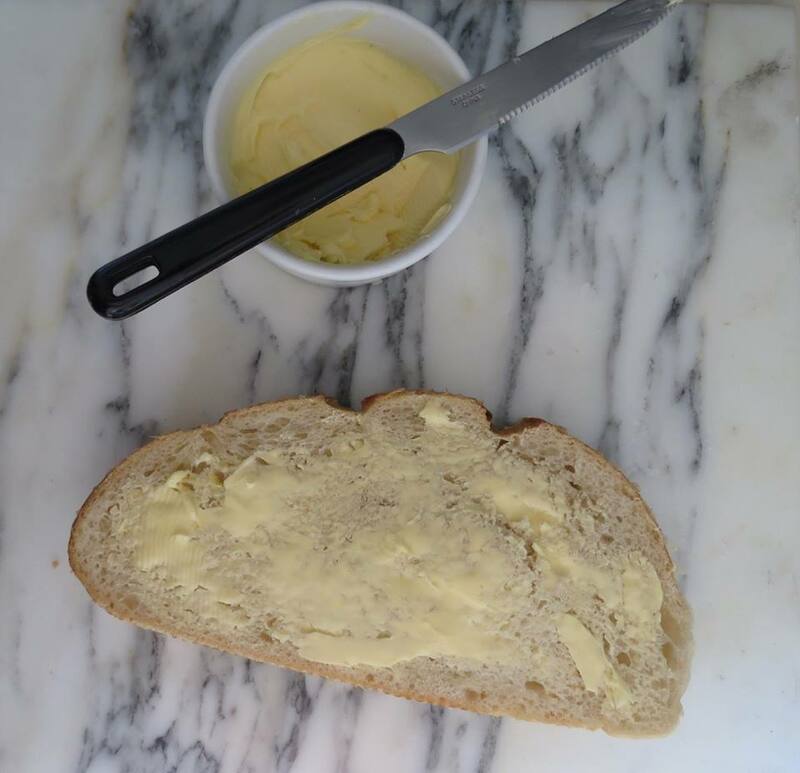 Make sure your butter is at room temperature so it spreads easily (just leave it on the counter for 20 minutes or so). Also, it's so important to shred your cheese. This ensures that it will melt evenly and quickly. And don't be afraid to be generous with the butter. If you put enough on the sandwiches themselves, you don't need any for the pan. A quick pan-fry on both sides yields a beautifully golden-brown and crisp exterior. Then slice, eat, an seriously contemplate making another one. Heat a nonstick frying pan or a cast iron griddle over medium heat. 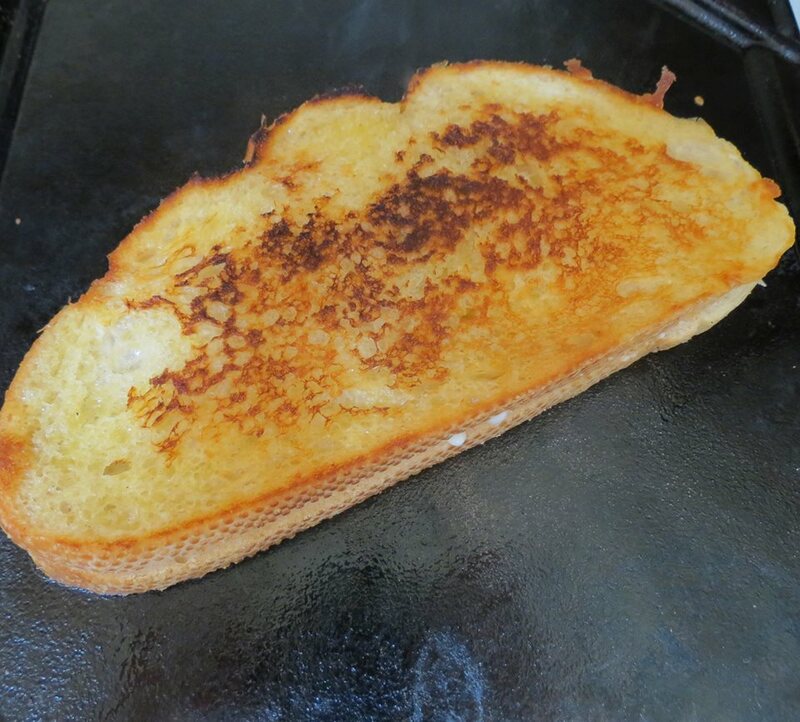 While the pan gets hot, divide the shredded cheese between the slices of bread, making sure to distribute evenly. 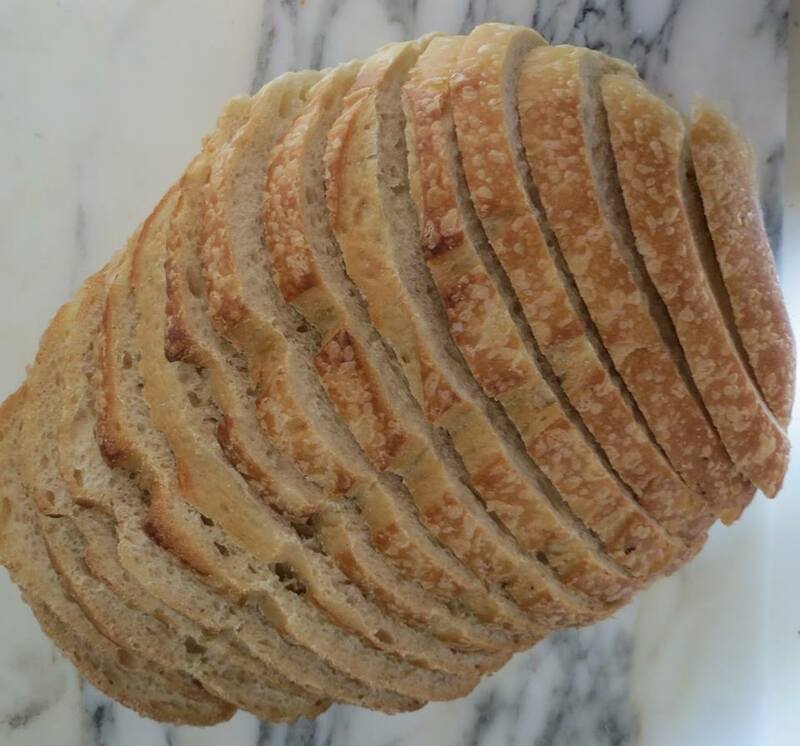 Top each slice of bread with a second slice of bread, to make four sandwiches. Butter the top and bottom of each sandwich generously. Cook the sandwiches, one or two at a time if neccessary, on the hot pan for 1-2 minutes per side, until the cheese melts and the bottoms become golden-brown and crisp. Flip and cook for another minute or two, until the second side is browned and crisp. Repeat with the remaining sandwiches. Slice in half if desired, and serve immediately. now you can get club penguin codes free of cost. from here you can also generate unlimited club penguin codes and cheats free of cost. It is so interesting for me and beneficial to all people who read.Thanks a lot for sharing. Keep blogging.. This website is full of information related to foods and it contains a lot of stuff for all of us. 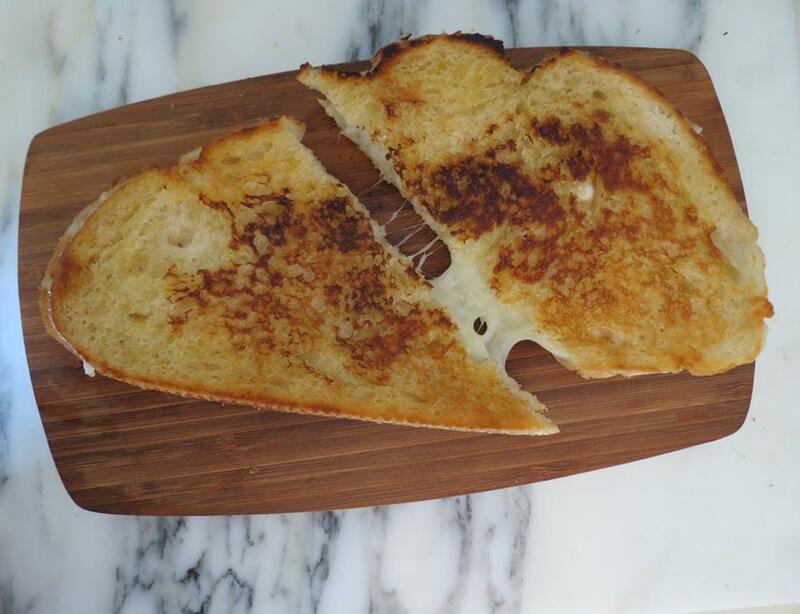 This is a very impressive post which is about Truffled Grilled Cheese. The baking tips and the related advice is possible from online to check the performance and its working perfection before make something. These blogs are done by the great experts who experienced in the category of baking. For writing experts choose a top dissertation writing help experts. An excellent type of posting you have used to post this blog. You have have shared the best quality stuff in the content of the post. Website you manage very neat and not boring. I was really amazed by you. The contents of the article is very original. 2018 Toyota Camry teased Japanese brand reveals first details of next-generation family sedan ahead of its reveal at the Detroit Motor Show in January. wow it looks so yummy and cheesy :D it is so easy and so time-saving recipe one can cook for either breakfast or supper. The breakfast will awesome when we have this dish. 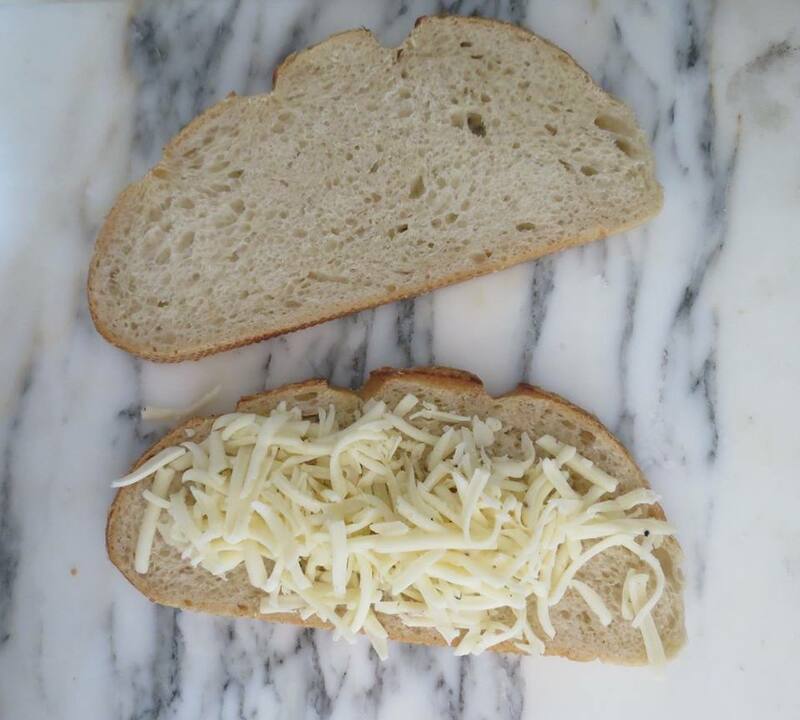 I love extra cheese in bread. cooking is not so much reading and following a recipe as it is using skills and techniques to take a recipe to another level or create a recipe out nothing more than a larder full of ingredients. •	Thank you for another great article. The place else may anybody get that type of info in such an ideal method of writing? I’ve a presentation subsequent week, and I’m at the search for such information. Thanks for the very intresting post. Amazing Post. Keep it up the good work. Excellent post post. Keep writing. Any rounded with applause for the post. Cheers Again. Actually Cool. Quite useful content post. Will understand on. I was surfing the Internet for information and came across your blog. I am impressed by the information you have on this blog. That’s very tasty recipe i will make it very soon. Thanks for giving me a new taste. wow! This is a great blog on cheese. I really like the menu. Thans mate for sharing ! thanks for giving that type of information. Really enjoyed this blog post. Really looking forward to reading more.